Administrative Law Judge Jacqueline Jones, Office of Administrative Hearings, Special Education Division (OAH), heard this matter on November 20-22, and 30, 2006, in Tustin, California. Petitioner (Student) was represented by attorney Michael S. Cochrane. An intern from the Law Offices of Michael S. Cochrane, was present on the first two days of hearing. Student’s father (Parent) was present on every day of the hearing. 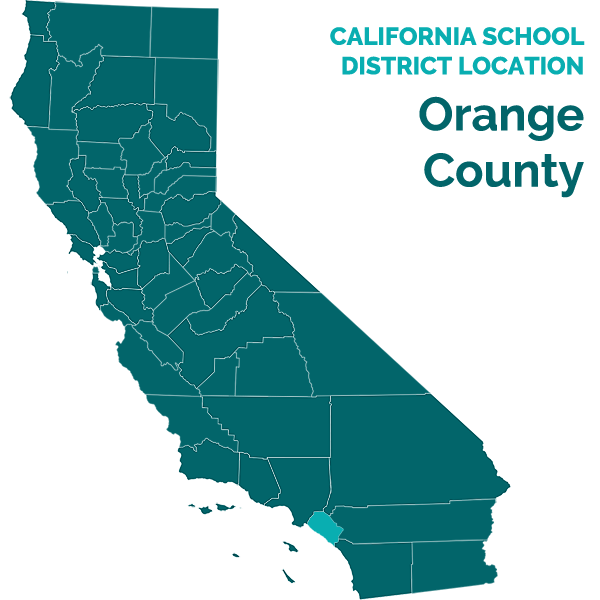 Tustin Unified School District (District), was represented by attorney Jennifer C. Brown, Rutan & Tucker. Also present as the District’s designated representative was Dr. Lori Stillings, Associate Superintendent of Special Education and SELPA Director for Tustin Unified School District. On June 22, 2006, Student filed a request for mediation and due process hearing. On August 2, 2006, Student filed a second amended complaint. On September 6, 2006, OAH issued an order that continued the hearing in the matter. Oral and documentary evidence were received, the matter was continued, and the record was left open for receipt of the written closing arguments. The record was closed on December 18, 2006, and the matter was submitted. 2. For the 2005-2006 ESY did the District deny Student a FAPE by failing to offer an appropriate venue for placement? Student contends that the District violated Education Code2 section 56341, subdivision (b) (3), when it failed to determine at the November 2005 annual IEP meeting the Student’s needs regarding the 2005-2006 ESY. The District responds that the issue was precluded by the March 28, 2006 settlement agreement. District further indicates that Education Code section 56345, subdivision (b)(3), does not compel the District to provide the details of a proposed ESY plan at any particular time. District provided the details of the plan at May 30, 2006 IEP. Student also contends that the District denied him FAPE by failing to schedule the IEP meeting of May 30, 2006, at a mutually convenient time. Student indicates that he would only agree to May 30, 2006 IEP meeting if Dr. Stillings would be the District representative and the District did not bring its attorney to the meeting. The District responds that the Parent was available to attend an IEP meeting on May 30, 2006. Parent chose not to attend because he was unhappy with the District representative. 1 The issues raised by Student have been restated for purposes of addressing the merits of his claim. 2 All references to the Education Code pertain to the California Education Code. 3 Mr. Vincent Redmond has supervised Student’s ABA services for the last four years. 4 Mrs .Steinmann was formerly Ms. McInerney. 5 California Standardized Testing and Reporting program measures educational progress. 6 Mrs. Wenhardt is the Coordinator of Special Education for the District. 7 Mrs. Bittick has been the Principal at Peters Canyon School for two years. Prior to that Mrs. Bittick worked for the District as a Principal at Lambert School. Student also contends that the District denied him FAPE by failing to have a representative from CARD present and failing to use other methods to ensure participation of this non-public agency at the May 30, 2006 IEP. District contends that the CARD representative did not attend the May 30, 2006 IEP because of a family emergency. District further responds that a representative from CARD is not a mandatory participant in the triennial IEP meeting. Student contends that the District denied him FAPE in the meeting of May 30, 2006 by failing to provide prior written notice regarding the proposal to change the service provider for Student’s ABA therapy. District responds that there was no requirement for prior written notice with regard to the May 30, 2006 IEP, or that the IEP document satisfied the requirement. An additional procedural violation alleged by Student was that the District failed to provide prior written notice of its rejection of the proposal to provide ABA therapy during the 2005-2006 ESY in a day camp placement. The District counters that either there was no requirement for prior written notice of the rejection of the day camp placement or that the May 30, 2006 IEP document is the prior written notice. Student’s last contention is that the District provided a substantively inappropriate IEP on May 30, 2006. He points to the absence of an appropriate venue for 2005-2006 ESY services. In response the District contends that Student has failed to demonstrate that he requires a setting other than home/community for his ABA services during 2005-2006 ESY. 1. Student is a nine-year-old boy who resides with his mother and father within the geographical boundaries of the District. 2. In 2003, Student moved into the District. Based upon Student’s history, the District determined Student was eligible for special education services based on autism. Student currently attends Peters Canyon Elementary School. 3. Applied Behavioral Analysis (ABA) intervention through the Center for Autism and Related Disorders Inc. (CARD) commenced on August 14, 20023 . 4. During the 2005-2006 school year, Student was placed in Ms. Steinmann’s4 general education second grade class. Student received “Proficient” to “Advanced” marks on his report card in all academic subjects throughout the school year. Student received “Excellent” and “Good” marks in all areas of achievement, including listening attentively, staying on task and working well with peers. Student had no observed deficits at school in the area of social skills with the exception of maintaining eye contact during the beginning of the school year. Student interacted appropriately with other students, had many friends, independently maintained conversations with peers, worked well independently and was one of the most active participants in class. Student’s attention in the classroom significantly improved over the course of the school year. Mrs. Steinmann testified credibly, based on her three years of teaching experience and Bachelors degree in Political Science and the Classics, that Student was very strong academically and very proficient in academics. Mrs. Steinmann indicated that Student did not regress in skills during second grade. Student remained at or above grade level in every subject throughout the school year. Student scored proficient on the local writing assessment and on the California STAR5 testing. 5. As discussed below in Legal Conclusion 9, a school district is not under a specific time constraint to provide a proposal for ESY services. 6. An IEP meeting for Student was convened on November 17, 2005. A specific description of the nature and extent of the services to be provided to Student during the ESY was put off until near the end of the school year. Parents did not agree to the IEP at the time. Subsequently, the parties filed due process requests regarding the IEP. 7. On March 28, 2006, the parties entered into a settlement agreement. Among the terms of the agreement was that the parties agreed that the November 17, 2005 IEP would be implemented and that an IEP meeting would be conducted to delineate what was to be provided to Student in the ESY for summer 2006. 8. An IEP meeting was held on May 30, 2006, at which time a specific ESY program was accepted by the IEP team. The Student’s parents did not agree to this IEP. Student filed the pending due process complaint. 9. Student has failed to establish that the District acted unreasonably in formulating and presenting the ESY proposal for 2006. In the March 28, 2006 settlement with the District, Student agreed that the ESY services would be delineated at the May 30, 2006 IEP meeting. 10. As set forth in, Legal Conclusion 7, a school district must take steps to ensure that at least one parent attends IEP meetings. The district must schedule the meeting at a mutually agreed upon time and place and notify the parent of the meeting early enough to ensure that the parent has an opportunity to attend. The district may conduct an IEP meeting without a parent in attendance if they are unable to convince the parent to attend. In such case, the district must maintain a record of the attempts to arrange a mutually convenient time. 11. District maintained the following records with regard to the District’s attempts to arrange a mutually agreed-upon time and place for Student’s triennial IEP meeting: notices of IEP dated February 21, 2006, April 6, 2006 and May 5, 2006. The records also reflect a series of emails and a telephone call between the Parent and Mrs. Bittick, Principal at Peters Canyon Elementary School. The emails document the attempts to convince the Parent to attend the triennial IEP meeting. 12. Mrs. Bittick was credible in her testimony. Mrs. Bittick was calm and straightforward in explaining her numerous efforts to convince Parent to attend the May 30, 2006 IEP meeting. Mrs. Bittick was aware that the school year ended on June 15, 2006 and intensified her efforts to schedule the meeting. On February 21, 2006, an IEP meeting notice was sent to the Parents proposing a meeting on Monday, April 24, 2006. Parent was not available on that date. Mrs. Bittick then rescheduled the meeting for April 25, 2006. Parent indicated that he would have to postpone the IEP meeting until he was told who would facilitate the IEP meeting and could provide reasonable notice to his lawyer. CARD was also unavailable for this IEP meeting. On May 5, 2006, a third IEP meeting notice was sent to Parent regarding the May 30, 2006 IEP meeting. Parent indicated that he was available to attend an IEP meeting on May 30, 2006 so long as the IEP team members that he requested were present. On May 24, 2006 Parent indicated via email that he would not attend the May 30, 2006 IEP meeting. Parent asserted that Francine Weinhardt6 did not have the authority to to commit the District. Parent preferred that Dr. Stillings attend the meeting instead of Mrs. Weinhardt. 13. District took reasonable steps to convince the Parent to attend. The IEP meeting was scheduled at a mutually convenient time. 14. As set forth in Legal Conclusion 6, a district is to use other methods, including individual or conference telephone calls, to allow a parent to participate in an IEP meeting if the parent cannot physically attend the meeting. 16. District did not fail to consider other methods to ensure Parent participation. 17. As set forth in Legal Conclusion 6, a school district is not obligated to have a NPA representative at an IEP meeting. 18. Mr. Redmond was invited to the May 30, 2006 IEP meeting. Mr. Redmond had confirmed his attendance at the meeting. One day prior to the meeting, Mr. Redmond left a voice mail for Dr. Stillings indicating that he had a family emergency and could not attend the May 30, 2006 meeting. Mr. Redmond submitted a report for the meeting. 19. Student attends a public school and as such District did not violate the regulation as set forth by the Student. Student is not placed in a private school. Student is in a general education classroom at a public school. 20. District did not have an obligation to have a CARD representative available. District was not required to ensure participation of CARD. 21. As set forth in Legal Conclusion 6, parents of a child receiving special education are entitled to a complete photocopy of the IEP. 22. Parent was not credible on whether copies of the IEP were given to him. Parent’s recollection on this issue was vague. Mrs. Bittick7 credibly testified that she gave a copy of the May 30, 2006 triennial IEP to Parent on June 1, 2006, at the Peters Canyon Elementary open house. Another copy of the IEP was given to Parent on June 26, 2006 by Mrs. Bittick at the Resolution Session. 23. District did provide photocopies of the May 30, 2006 IEP to the Parent and therefore complied with the law. 24. As set forth in Legal Conclusion 8, a school district is obligated to provide a student’s parents prior written notice when it proposes to alter the student’s educational placement. A change in placement can occur if the adjustment in services is likely to affect in some significant way the student’s learning experience. This notice must include the following: a description of each assessment, record or report used as a basis for the action, a statement that the parents have protection under the procedural safeguards set forth in IDEA, the sources for the parents to obtain assistance in understanding IDEA, a description of other options considered and rejected by the IEP team, and a description of the factors relevant to the district’s proposal. Prior written notice can be the IEP document itself. 25. The May 30, 2006 IEP included a description of the proposed action to transition Student’s ABA service provider from CARD to the District. A description of each triennial assessment considered by the IEP team was summarized in the IEP and the assessments were also provided concurrently to Parent. At a Resolution Session on June 26, 2006, Parent was told the reasons for the District’s proposal to change ABA service providers. 26. District provided adequate prior written notice to the Student of the proposal tochange Student’s service provider from CARD to the District. 27. As discussed below in Legal Conclusion 8, a school district is required to provide prior notice to the parents of a child with a disability when it proposes to initiate or change, or refuses to initiate or change, the identification, evaluation, or educational placement of the child. Prior written notice can be the IEP document itself. 28. On May 29, 2006, CARD representative, Vincent Redmond Jr., a Senior Clinical Supervisor for ABA (Applied Behavioral Analysis) recommended in a written report sent via facsimile to Dr. Stillings that ABA therapy take place in a day camp setting. C. From June 28, 2006 to August 18, 2006, 12 hours of District supervision which included team meetings. The IEP team declined CARD’s recommendation for day camp based on the strength of Student’s social skills, academic progress and a lack of regression in any area. 30. The IEP document was prior written notice of the rejection of day camp. Students’ Parents were not prevented from participating in the IEP meeting. They chose not to attend. Student has failed to show that he suffered a loss of educational benefit based on the District’s rejection of day camp. There was no denial of FAPE. Therefore, parents are not entitled to reimbursement of $1,200 for costs associated with the day camp program, or for $267 for mileage. 31. As discussed in Legal Conclusions 10, 11 and 12 the District must provide Student with FAPE. ESY services are required if necessary to prevent skills or benefits already accrued from the prior year from facing significant jeopardy due to regression or lack of retention. 32. Mr. Redmond’s testimony that day camp was the appropriate setting for a portion of Student’s ABA services was not credible. Mr. Redmond failed to identify any area of Student’s social skills that was either subject to regression and/or impeding Student’s progress in the classroom. 33. Rosa Patterson is an autism specialist with the District. Mrs. Patterson supervises 45 District employees. Mrs. Patterson’s background includes working at the UCLA Lovass Institute for six years. She was a teaching assistant for Dr. Lovass. Mrs. Patterson has also worked at the Orange County Regional Center. The CARD program was developed based on the Lovass Institute and its programs of ABA therapy. Mrs. Patterson was familiar with Student. She has attended two IEP meetings for Student. She has collaborated on Student’s ABA program and has reviewed CARD reports, IEPs, report cards and assessments on Student. 34. Mrs. Patterson testified and established that Student is doing very well and has shown a dramatic improvement in his social skills in the last two years. Mrs. Patterson was credible in relating that Student’s goals and objectives can be appropriately implemented in a one on one setting and in the community. Mrs. Patterson explained that none of the ABA programs require a venue other than home/community for implementation. Social facilitation can be provided for in the community trips program which includes trips to the park, the movies and the mall where Student can interact with other individuals. There was no need for a day camp venue for ABA services. Mrs. Patterson established that CARD services could have been implemented through the home program to meet any of Student’s needs. 35. Student has failed to establish that he was denied FAPE, as a result of the District’s rejection of the day camp venue for ABA services. The District’s offer of services for the 2006 ESY was appropriate. 1. Under the federal Individuals with Disabilities Education Act (IDEA) and state law, students with disabilities have the right to a free appropriate public education (FAPE). (20 U.S.C. § 1400 et seq.) (Ed. Code, section 56000 et seq.) FAPE consists of educational instruction specially designed to meet the unique needs of the handicapped child, supported by such services as are necessary to permit the child to benefit from the instruction. (Hendrick Hudson Central School District v. Rowley (1982) 458 U.S. 176, 188-189 [73 L.Ed.2d 690, 102 S.Ct. 3034] (Rowley ).) The instruction and services must comport with an individually tailored IEP, which must be developed under strict statutorily based procedures. (See 20 U.S.C. § 1401 (11).) The IEP is a written document detailing the student’s current educational level, a statement of measurable annual goals, including both academic and functional goals of the education plan. (Ed. Code, § 56345, subd. (a)(2); 34 C.F.R. § 300.320 (a)(2)(i).) Participants on the IEP team are expected to be knowledgeable as to the student’s disability and educational history. (Shapiro v. Paradise Valley Unified School District No. 69 (9th Cir. 2003) 317 F.3d 1072, 1076, 1078.) The IEP team is required to meet at least annually to review student’s progress and the plan. (Ed. Code, § 56343, subd.(d).). The term of an IEP is one year. The annual IEP replaces the prior IEP. 2. In Rowley , the United States Supreme Court determined that to receive a FAPE, the student’s IEP must be designed to meet the unique needs of the student and reasonably calculated to provide the student with some educational benefit, but that the school district is not required to provide the child with the best education available or instruction and services that maximize the child’s abilities. (Id . 458 U.S. at pp. 198-200). The Court in Rowley also recognized the importance of adherence to the procedural protections afforded by the IDEA, which are designed to ensure effective parental participation in the IEP process and careful consideration of a student’s educational needs. 5. Procedural errors do not necessarily deprive a student of a FAPE. There must be a substantive harm to the student such as a loss of an educational opportunity. (see Ed. Code, § 56505, subd. (j) [hearing officer may not base a decision solely on nonsubstantive procedural errors, unless that error caused pupil to lose educational opportunity or interfered with parent’s opportunity to participate in the formulation process of the IEP]; W.G. v. Bd. Of Trustees (9th Cir. 1992) 960 F.2d 1479, 1484; DiBuo v. Bd. Of Educ. (2002 4th Cir.) 309 F.2d 18. 7. Education Code section 56341.5, subdivisions (a) through (f), requires that the district take steps to ensure that at least one parent attends IEP meetings or is “afforded the opportunity to participate, including individual or conference telephone calls.” The district must schedule the meeting at a mutually agreed upon time and place and notify the parent of the meeting early enough to ensure that the parent has an opportunity to attend. The notice must indicate the purpose, time, and location of the meeting, and who shall be in attendance. Education Code section 56341.5 subdivision (g), provides that an IEP meeting may be conducted without a parent if the district is “unable to convince the parent or guardian that he or she should attend.” Subdivision (g), further provides that the district must maintain a record of its attempts to arrange a mutually agreed-upon time and place for the meeting. The attempts must include telephone calls made or attempted, correspondence, and visits, and the results of these measures. 8. A school district is required to provide written prior notice to the parents of a child with a disability when it proposes to initiate or change, or refuses to initiate or change, the identification, evaluation, or educational placement of the child of the provision of a FAPE to the child. ( 20 U.S.C. § 1415 (b)(3)). The written prior notice must include (1) a description of the action proposed or refused by the school district; (2) an explanation of why the district proposes or refuses to take the action; (3) a description of any other options that the district considered and the reasons why those options were rejected; (4) a description of each evaluation procedure, test, record, or report the district used as a basis for the proposed or refused action; (5) a description of any other factors relevant to the districts’ proposal or refusal; (6) a statement that the parents of a child with a disability have protection under the procedural safeguards of the IDEA; and (7) sources for parents to contact to obtain assistance in understanding the IDEA. (20 U.S.C. § 1415 (c)). 12. In determining whether the content of ESY failed to provide a student with FAPE, it must be established that the significant skill losses were of such degree and duration so as seriously to impede progress toward his/her educational goals. (Kenton County School District v. Hunt (6th Cir. 2004) 384 F.3d 269, 278-279.) The content of ESY services are governed by the necessity to prevent skills or benefits already accrued from the prior year from facing significant jeopardy due to regression or lack of retention. (McQueen v. Colorado Springs School District No. 11 (D. Colo. 20060 419 F.Supp.2d 1303, 1308-1310.) Additional skills training may be included in ESY when the IEP team determined that this is necessary to meet ESY skills maintenance goals. Issue 1: Did the District deny Student FAPE by failing to determine at the November 2005 annual IEP meeting the Student’s need for services for the 2006 extended school year (ESY)? 13. As discussed above in Factual Findings 5 through 9, and Legal Conclusions 3 and 4, Student had agreed to this process in the settlement agreement dated March 28, 2006. Issue 2: Did the District deny Student FAPE by failing to schedule the individualized education program (IEP) meeting of May 30, 2006 at a mutually convenient time. 14. As discussed above in Factual Findings 10 through 13 and Legal Conclusions 3, 5 and 6, Education Code section 56341.5 subdivision (g) provides that an IEP meeting may be conducted without a parent if the district is “unable to convince the parent or guardian that he or she should attend.” Subsection (g) further provides that the district must maintain a record of its attempts to arrange a mutually agreed upon time and place for the meeting. The attempts must include telephone calls made or attempted, correspondence, and visits, and the results of these measures. District took reasonable steps in scheduling the IEP. District kept detailed records of its attempts to contact Parent and schedule the IEP. District did schedule the IEP at a mutually convenient time. Issue 3: Did the District deny Student FAPE by failing to ensure Parent participation at the May 30, 2006 IEP? 15. As noted in Factual Findings 14 through 16 and Legal Conclusions 3, 5 and 6, Mrs. Bittick made many efforts to accommodate the Parents schedule. Parent wanted to dictate who would attend the meeting. When Parent could not get Dr. Stillings to attend the meeting, he boycotted the May 30, 2006 triennial IEP. Issue 4: Did the District deny Student FAPE by failing to have a representative from the Center for Autism and Related Disorders (CARD) at the May 30, 2006 IEP, and failing to use other methods to ensure participation of this non-public Agency at the IEP? 16. As discussed above in Factual Findings 17 through 20 and Legal Conclusions 3, 4 and 5, CARD is not a mandatory participant in an IEP meeting. Student failed to carry his burden of proof. Issue 5: Did the District deny Student FAPE by failing to provide the Parents a complete copy of the IEP developed at the May 30, 2006 meeting? 17. As discussed in Factual Findings 21 through 23 and Legal Conclusions 3 and 5, several copies of the IEP were given to the Parent. Mrs. Bittick testified credibly that copies were provided to Parent. When Mrs. Bittick tried to determine what pages were purportedly missing, Parent could not identify what pages were missing. Issue 6: Did the District deny Student FAPE by failing to provide prior written notice regarding the proposal to change the service provider for Student’s ABA therapy? 18. As noted in Factual Findings 24 through 26, the IEP document of May 30, 2006, contained sufficient information to constitute prior written notice to the Parents. Additionally, District gave an explanation for the proposed action (transition of services from CARD to the District) at the Resolution Session of June 26, 2006. Issue 7: Did the District deny Student FAPE by failing to provide prior written notice regarding the rejection of the proposal to provide ABA therapy during the 2005-2006 Extended School Year (ESY) in a day camp placement? 19. As noted in Factual Findings 27 through 30 and Legal Conclusions 3, 11 and 14, the goals and objectives of the November 2005 IEP were designed to meet Student’s needs and to provide him with educational benefit. The District drafted appropriate goals and objectives for Student. The goals were based on the areas of need identified by the team, the goals were measurable so that the team could assess progress, and the goals were designed to meet Student’s individual needs. Issue 8: Did the District deny Student a FAPE for the 2005-2006 ESY by failing to offer an appropriate venue for placement and services? Findings 31 through 35 and Legal Conclusions 1-3, 8, 11 and 14. Student failed to establish that day camp was a necessary environment for him to receive ABA services during ESY 2006. There was credible testimony by Mrs. Patterson that Student’s goals and objectives could be appropriately implement in a one-to-one setting and in the community. None of the ABA programs which are currently implemented by CARD require a venue other than home/community for implementation. Education Code section 56507, subdivision (d), requires that the hearing decision indicate the extent to which each party has prevailed on each issue heard and decided. District prevailed on all issues presented for determination.